No Thing is the best gimmick for doing HOLE ROUTINES. From the creator of INSERT, INFINITY BOX, STEAL CHANGE and T.I.M.P. 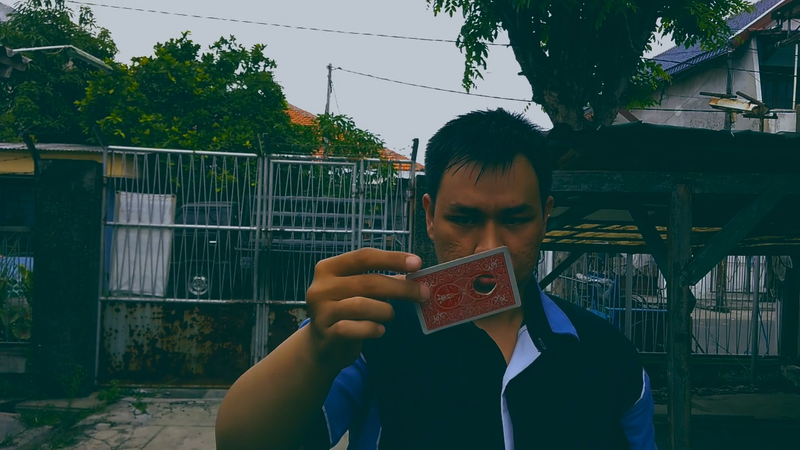 Now Stefanus Alexander has created an incredible new method for performing Hole Card Tricks. You ask the spectator to select a card, and a BIG HOLE magically appears in the spectator's selection! You can also make the hole vanish, and then allow your spectator to examine the card in their own hands. Another great variation to your routine is Hole Transpo. Here, the hole vanishes from one card and is instantly on a different card! This Gimmick is WITHOUT A FLAP! WITHOUT THREADS! WITHOUT A MAGNET! WITHOUT BLACK ART! WITHOUT ELASTICS! It's very CLEVER! No Thing can even be performed at a 360 degree angle. Download the video and learn this eye-popping effect!